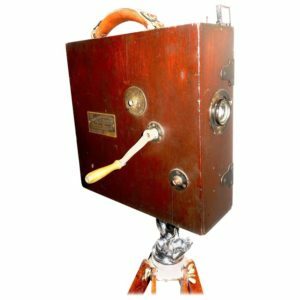 Offered for your consideration, is this Circa 1925 hand cranked cinema camera. 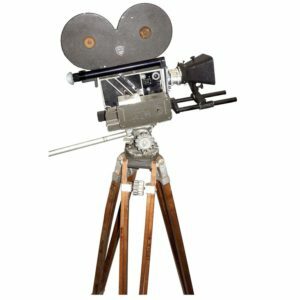 It is a wonderful example of an early 20th century motion picture camera. Made in France, this GV ( Grand Vitesse – High Speed) model G is especially hard to find in such a good state. 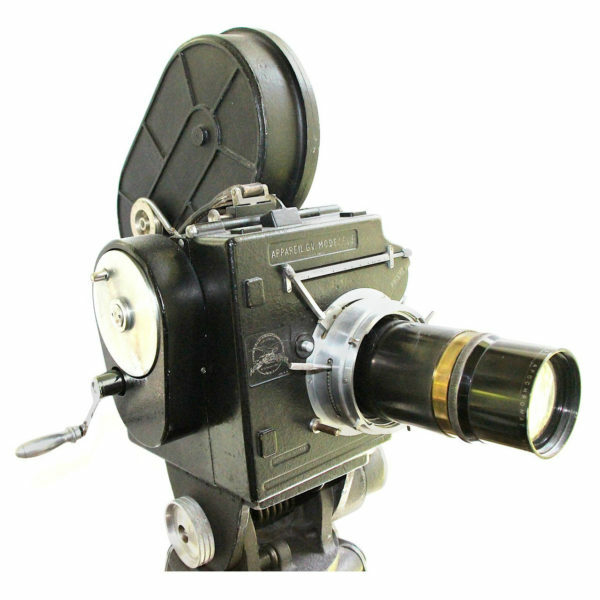 The camera is complete with hand crank, original lens, 2-400′ film magazines. It runs correctly and has original paint with excellent patina. Some minor mods over the years that does not affect the overall ‘look’. 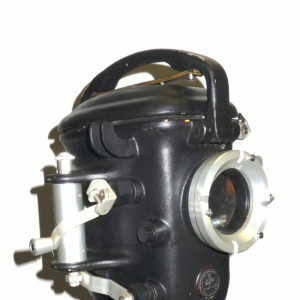 A fabulous look, as sculpture, for home, office or museum display. Era correct wood tripods and heads are additionally available but not included in this offering. 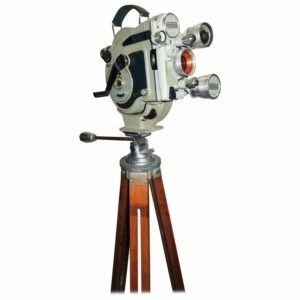 One of the most desired French early High Speed Cinema Cameras.